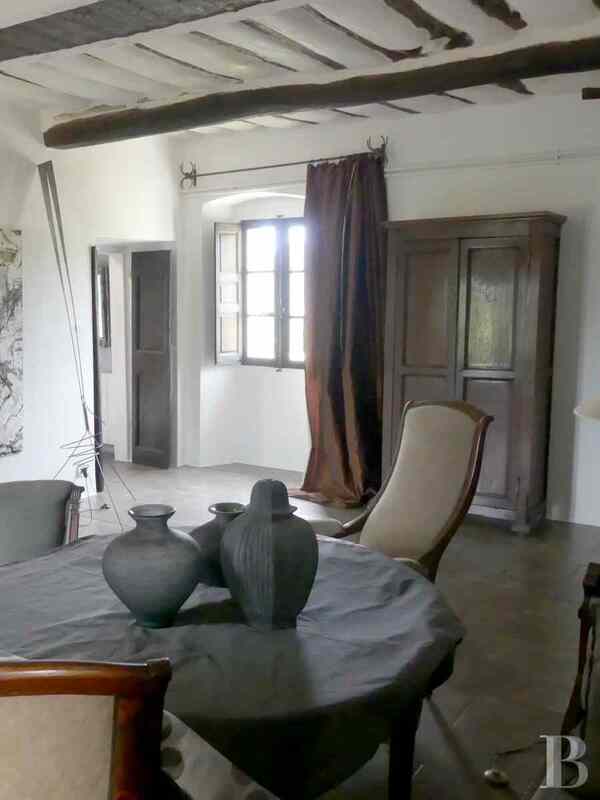 A historic house and its 200 m², 2-storey flat in Patrimonio, between Saint-Florent and Bastia - character properties France - - Patrice Besse Castles and Mansions of France is a Paris based real-estate agency specialised in the sale of Character houses. 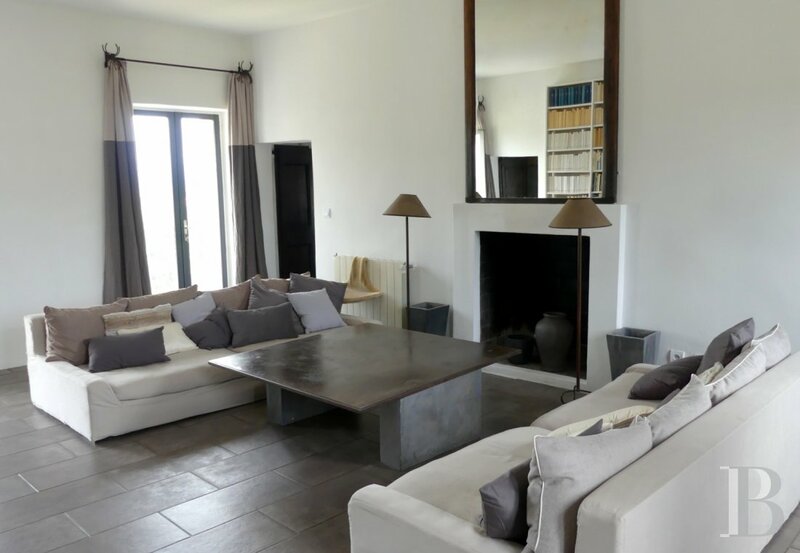 In the midst of the Patrimonio vines, with AOC appellation since 1968, recently classified on the wine-producing site list, surrounded by fields of olive trees and organically-grown vegetable gardens, this property enjoys a spectacular setting, steeped in tranquillity. The residence, housing this flat, stands on the foothills of the Nebbiu Mountain. It nestles in a hamlet, known as “Cardetto”. The very soul of Patrimonio, it forms the oldest section of the village, just a stone’s throw from the Baroque San-Martinu church, dating from the 17th century. 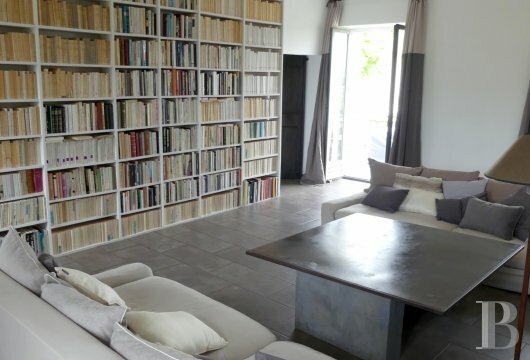 It is listed and dominates this Corsican haven. 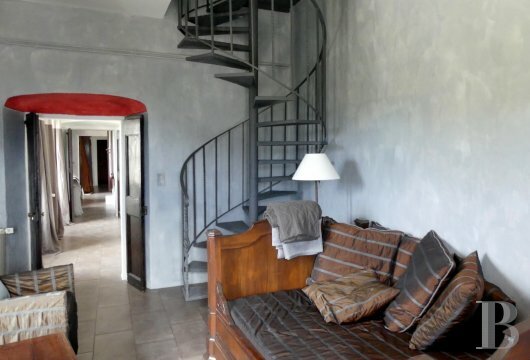 This flat, on the 1st and 2nd floors, provides an unobstructed view, looking down on the Patrimonio Plain and the Gulf of St-Florent. The residence was constructed in 1750 and belonged to Count Bartelomeo-Arena who was a representative of the French National Convention and took part in the attempt to assassinate Napoleon-Bonaparte, then 1st Consul. His descendants subsequently left for the United States; the house was sold and became the village school. This residence, together with the church and the house known as “Ficaja”, to which it was linked via underground passageways, is one of the three oldest buildings in Patrimonio. 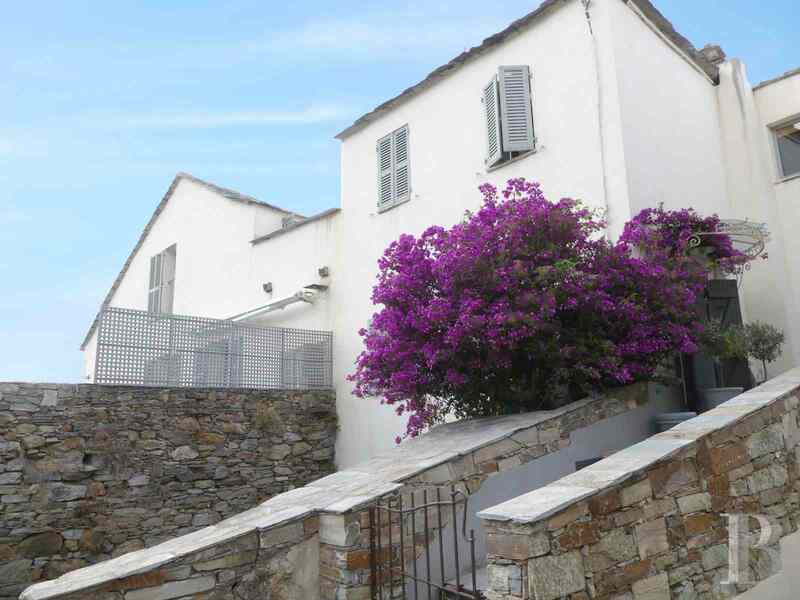 This 2-storey flat is reached via a small stairway, adorned with heavily-flowering bougainvillaea. The double, chestnut wood doors and the windows with their indoor shutters are still as they were when it was first constructed. The three-sloped roof is covered with “lauze” stone slabs from the Nebbiu region. The front door opens into a large vestibule which is used as a reception room. It features a fireplace and superb exposed, chestnut wood ceiling beams as well as an adjoining bathroom. 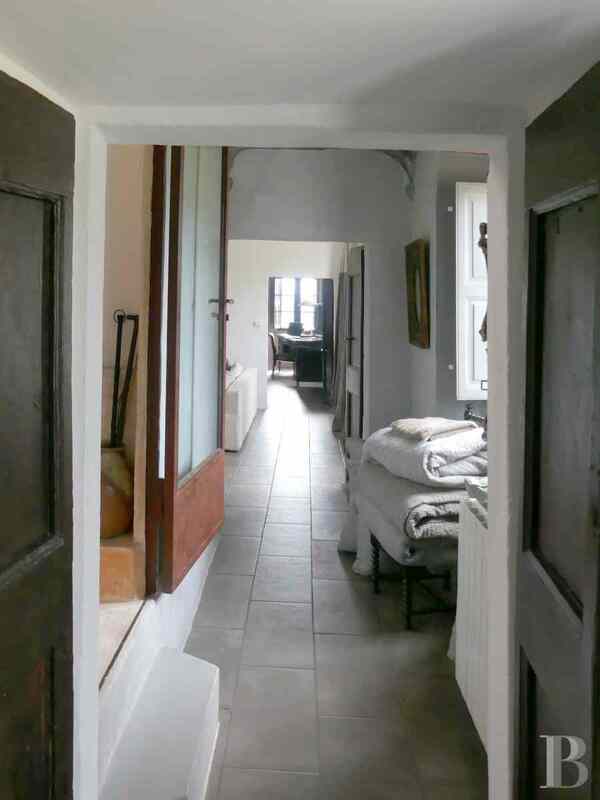 This vestibule provides access to a fitted kitchen, with its wonderful ceramic tiles and a door opening on to a terrace facing the Nebbiu Mountain, as well as to a corridor, illuminated via two windows, leading to a vast living room-library, with another fireplace. 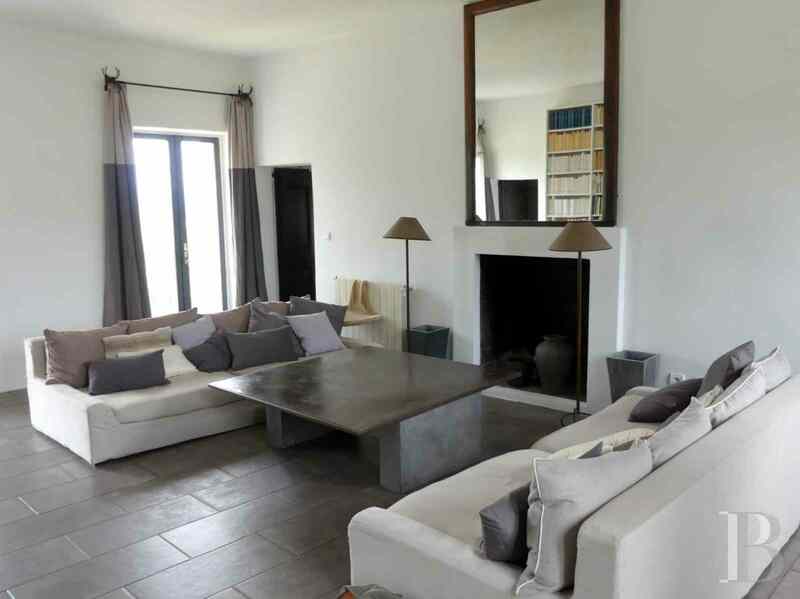 This room, steeped in sunlight courtesy of its north-facing windows and its French windows, opening on to a south-facing balcony, provides access, in turn, to two large bedrooms, with views over the Patrimonio Plain and the Gulf of St-Florent. 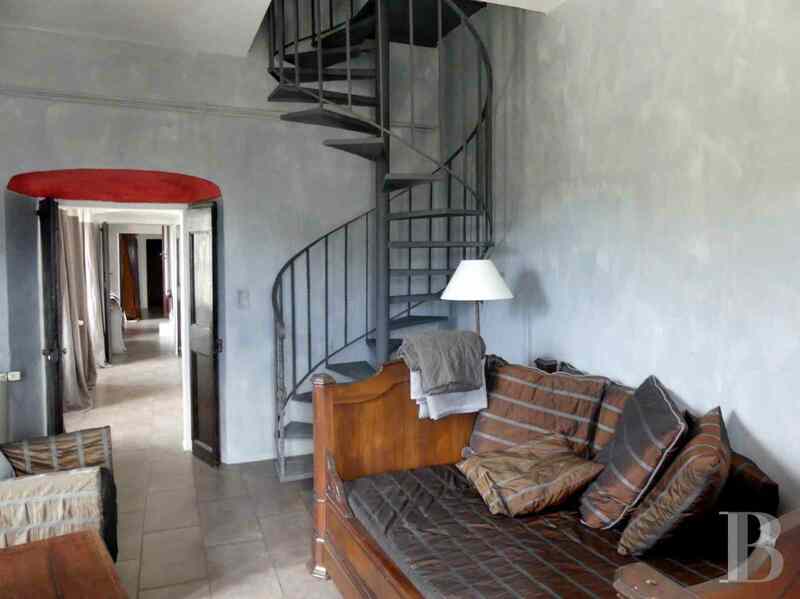 One of these bedrooms features a spiral stairway, going up to a room in use as a dressing room, with a shower cubicle, on the floor above. 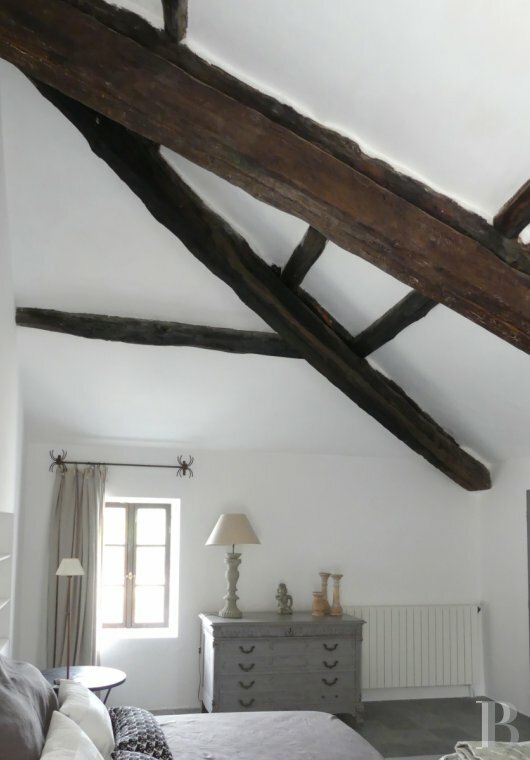 It is followed by two bedrooms with superb exposed, chestnut wood ceiling beams. 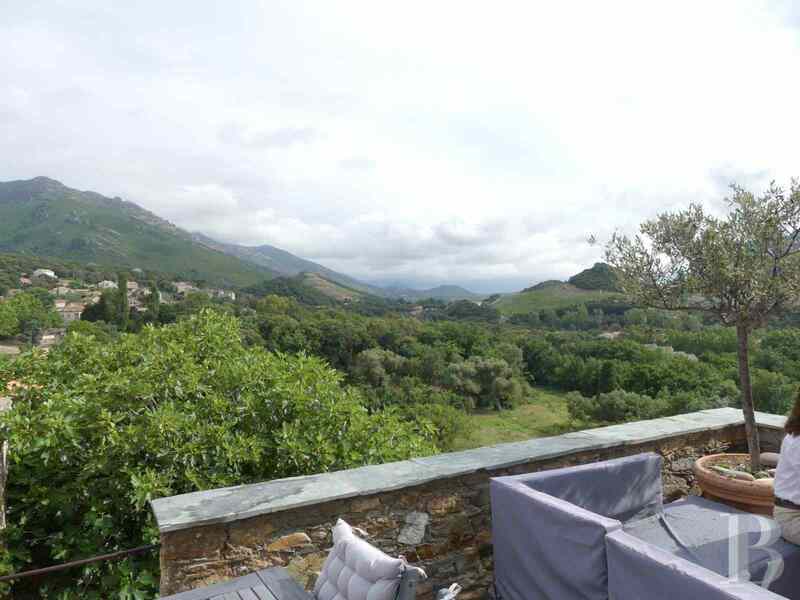 Said bedrooms are separated by a terrace patio where the eye is immediately drawn by the view of the vineyards and the surrounding hills. A bathroom adjoins the last bedroom. 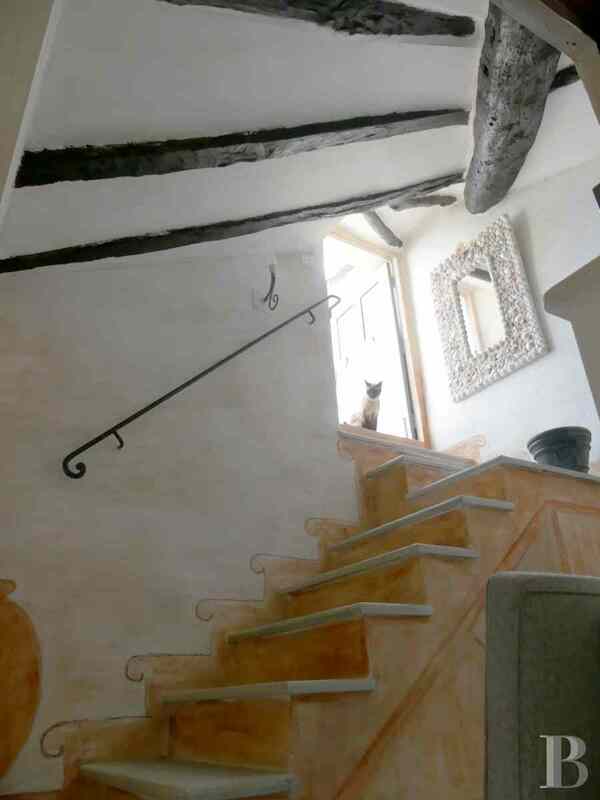 A stairway goes down from the terrace patio to the living room. 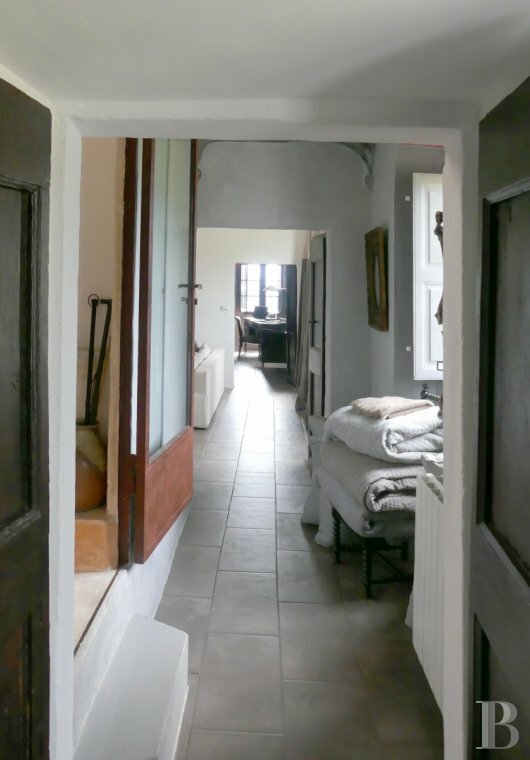 This flat has a cellar on the ground floor of the house, next to a rental flat which could be sold by the owner at a later date. Patrimonio is famous for its vineyard. 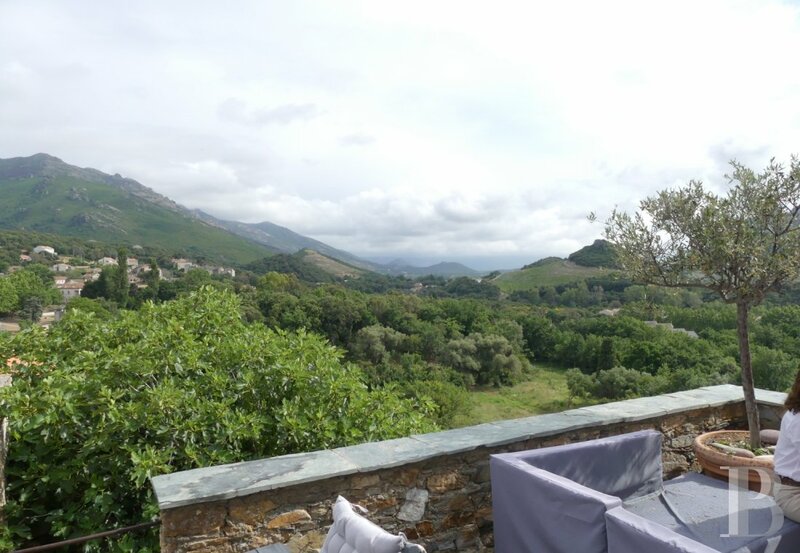 This Upper Corsican town is equally worthy of fame courtesy of its site, between the Nebbiu Mountain and the Gulf of Saint-Florent. Bastia is not far away. 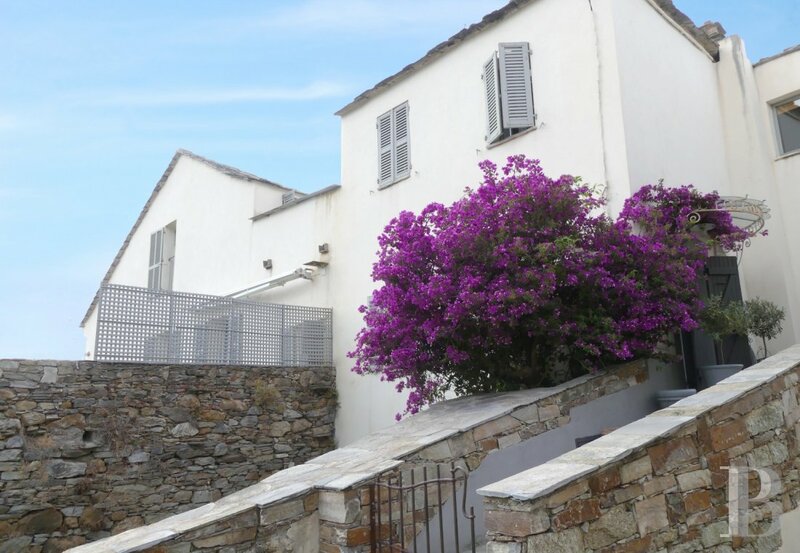 The advantages of the flat include its proximity to the sea, a view which it is not possible to tire of, nearby walks and hikes, the quality of life and a nearby town. 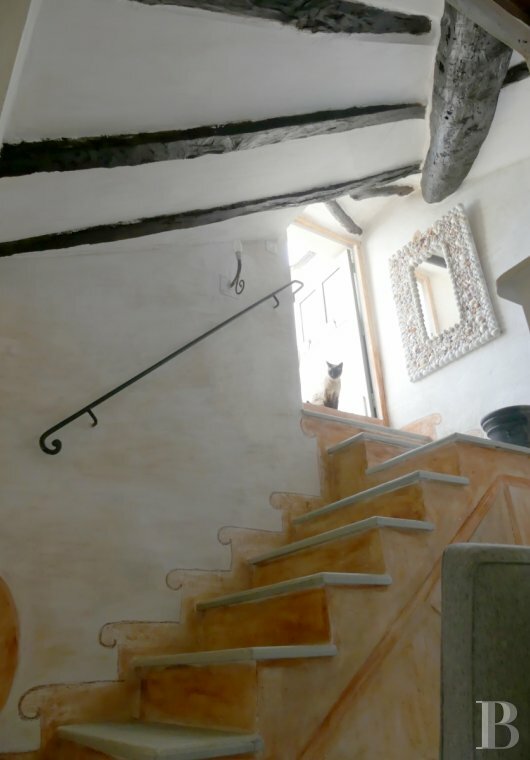 In addition, the residence is one of the most beautiful in a village where history and culture have left their mark. 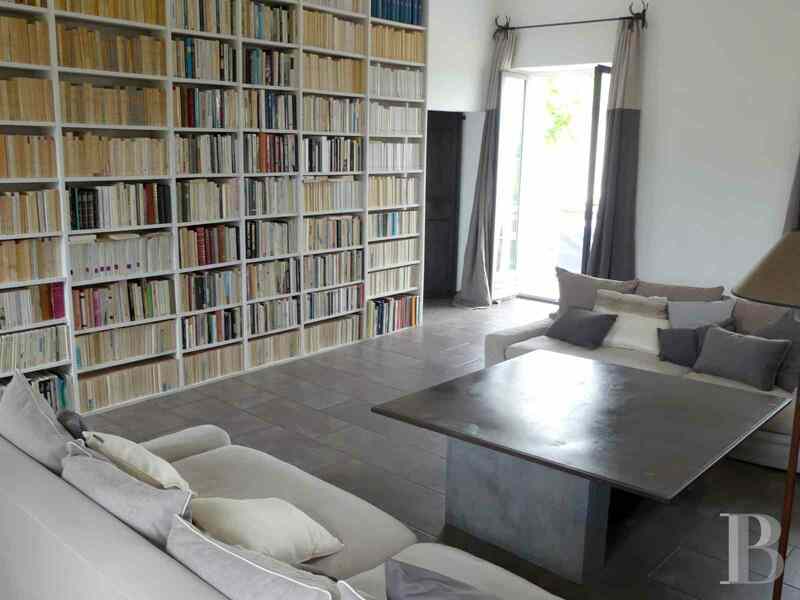 Patrice Besse Castles and Mansions of France represent a large national network specialized in the sale of character buildings. together with all the character buildings selected by each of our exclusive regional agents are constantly enriching our offers.